Posted on February 17, 2016 by David Silver. Posted on February 16, 2016 by David Silver. In business school we did a case on eBay that was teed up perfectly for the professors to disabuse students of a cherished notion. The central question was what makes eBay such a successful marketplace? And the intuitive answer is “network effects”. The more people are using eBay, the more the next user wants to join eBay, instead of a competitor. And the professors loved this answer because it is so easy to pop a hole in it. Buyers don’t want to be with other buyers – the competition just drives up prices. And sellers don’t want to be with other sellers – the competition just drives down prices. Instead, the professors argued, it was eBay’s reputation metrics that really drove its success. Buyers and sellers want to transact with counterparties that have solid reputations, and only eBay can provide that. eBay has a thick market. There is no other market where you can find the Danish Christmas ornament from exactly 28 years ago that you just shattered and need to replace. eBay has an incredible brand. The point about branding is especially easy to ignore, in business school and elsewhere, because it is so close to magic. How do you build a good brand? How do you know if you have one? How do you know if one brand is stronger than another brand? How do you quantify when a brand is strong enough to support a monopoly? Warren Buffett was a famously late in life convert to the power of branding, in all its mystery. Which brings us to ride-sharing and Uber. Uber, like eBay, has power in its reputation metrics, in the thickness of its market, and in its brand. So how do these stack up to eBay? Uber’s reputation metrics are less important than eBay’s. Uber’s ride-sharing flow is simpler than eBay’s asynchronous process of buying, and paying, and shipping, and receiving, so counterparty reputation matters less. Uber’s market thickness is more important than eBay’s. If an Uber driver or rider can’t find a match at any given moment, they’re much more likely to give up on the service altogether, than if an eBay buyer or seller can’t find a match. Uber’s brand is as important as eBay’s. But Uber hasn’t locked up the market yet. Lyft is on their heels. The question is, unlike with online auctions, is there room for two players? One last note is that while eBay does not have a direct competitor, Craigslist serves as an alternative, albeit a distinct one. Lyft is much more of a direct competitor to Uber than Craigslist is to eBay, but the existence of Craigslist raises the possibility that two firms could survive in the market. H/T to Jared Myer and Daniel Pryor’s post in Forbes, which inspired this. 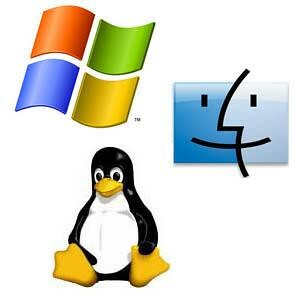 Who Owns the Operating System? An unexpected and brief article on the website of 7NEWS Denver raises the question of whether car buyers own the software that runs their cars. This issue must have come up many times already – cars have had complex computer systems for years, if not decades – but I’m actually not sure what the answer is. Nor am I certain what the implications are. The answer for computers and phones is (I think) that end-users purchase a software license (typically bundled into the purchase price of the device), but they don’t actually own the software. Unless that model is for some reason unworkable in the automotive world, it seems reasonable enough to stick with that. The 7NEWS story implies that the ownership issue has a bearing on how extensively end-users can modify their software, and indeed such an issue arose with Apple iPhones. It will be interesting to learn more about the implications of this, especially since independent auto repair shops are a much larger economic force than independent computer repair shops. So reports Crain’s Detroit Business, although I have seen this rumor in other places, previously. Among other public evidence, Google is hiring a project manager in Ann Arbor. It’s hard to say whether this is because Google is considering ramping up manufacturing, or because existing and potential partners are all there, or because of the local automotive talent pool. But it makes sense, and it will be interesting to see how much of X’s self-driving car project shifts to Michigan. Could Self-Driving Cars Prevent 95% of All Accidents? Posted on February 12, 2016 by David Silver. The UK-based Institution of Mechanical Engineers makes the claim that self-driving cars could prevent 95% of all accidents. That report seems to be based on the fact that 95% of all accidents are caused by driver error. Claiming that self-driving cars could prevent all of these accidents seems like a stretch, and certainly the computer drivers will create accidents of their own making. And it’s possible that self-driving car accidents could be more rare but also more brutal, particularly if autonomous vehicles are able to routinely travel at higher speeds than human drivers. But even withstanding all of that, it’s clear why auto insurers are nervous.